For most Mac owners, iTunes is their de-facto music player and syncing hub. The latest iTunes 12.6/12/11 is a huge upgrade from its predecessor, and it has received lots of positive feedback since it released on Thursday, November 29th, 2012. However, still many Apple users do not know how to make the most of their media player. 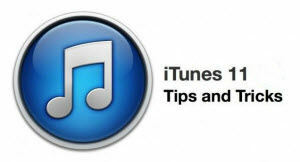 Now let's take a look at the fantastic tips and tricks that make your experience with iTunes much more wonderful and save your time for managing Apple devices. Tips： Forget iTunes backup password and have no way to recover iPhone SMS, contacts, photos from backup? 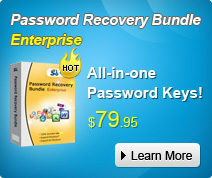 Download, and use this reliable software to decrypt iTunes backup. Apple has hidden some options on the sidebar to make it simple and clear. However, if you want certain icons instead of all default ones, the below operations could help you achieve this. 1. Open Preference Panel > General Tab. 2. Under Show option, you'll find different icons that can be added or removed from iTunes sidebar. Check the ones you need and uncheck those you don't need. 3. All set, click OK，and iTunes will immediately show the changes on the sidebar. The "Burn to Disc" option is elusive in iTunes 11. It's technically located under the File menu, but you won't see it unless you're viewing a playlist that can actually be burned to a disc. When you can't use this option, Apple hides this option for you. As duplicate songs take a large amount of space on iPhone, iPad, iPod as well as your hard drive, it's of great significance to deleted duplicate songs. 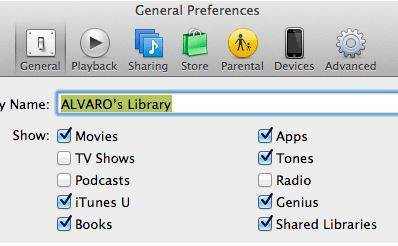 Though the deletion is easy, many users do not know this feature of iTunes. 1. Go to the application's View option on the top menu bar and select Show Duplicate Items. Your iTunes library will then display all versions of the files that it thinks are the same. 2. Some files are of the same file name, but actually they are different files and have different formats. Here's a trick for you to pick out real duplicate files: When clicking the View menu, press the Option key on your keyboard and the Show Duplicate Items option will change to Show Exact Duplicate Items. Then you can feel free to eliminate duplicate songs in your iTunes. 1. The Command + Option + M keyboard shortcut toggles normal iTunes view and the new MiniPlayer. Command + Option + 3 will bring up the MiniPlayer and also keep the full view open. 2. To add any track to the Up Next queen, the easiest way is: select this song, hold down the option key until a "+" button appears to the left of the title. Hit the "+" and the song will be immediately added to the Up Next queue. 3. Use the Option + Command + S shortcut or the "Show Sidebar" option under the View menu to get the previous static sidebar back. Some iTunes users may find that the iTunes backup password is wrong when entering password to access iPhone, iPad or iPod backup. To unlock iTunes backup, the tool iTunes Backup Password Recovery might be of some help.